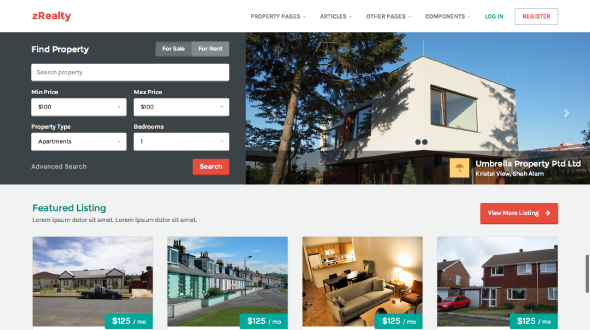 zRealty is a responsive HTML template built on Twitter Bootstrap 3 framework. 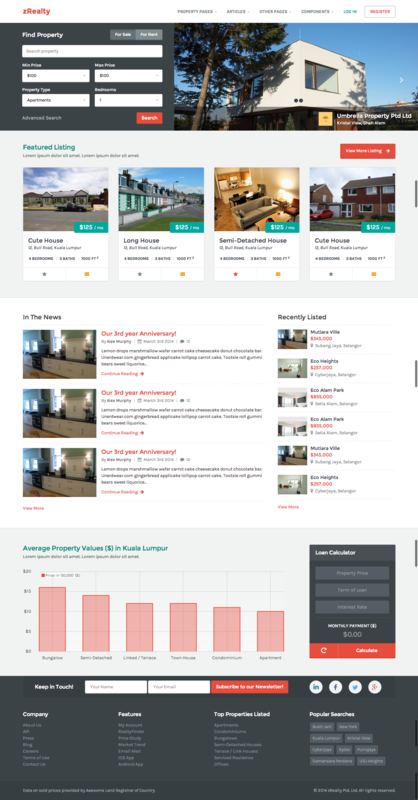 It is a Property-based website and can be use as a Site Listing too. 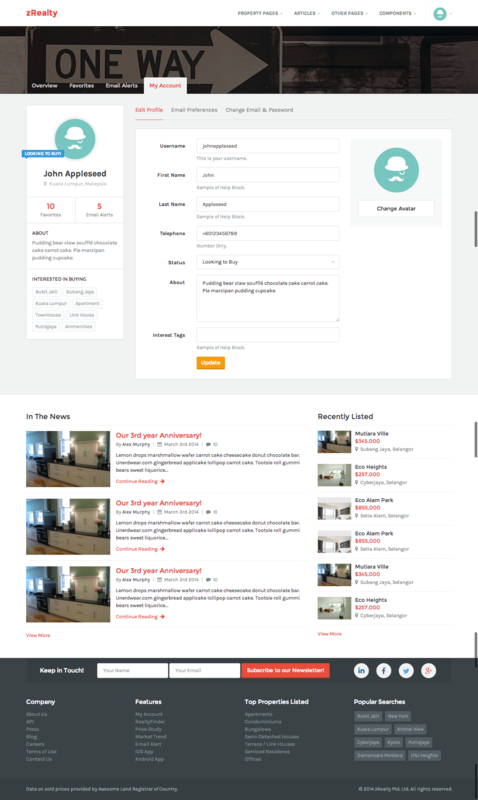 Clean and modern are included in the design for easy and convenience to be upgrade on any theme framework you desired. *Please take note that the images used on the demo site are for demonstration purposes only and are not included in the download file. 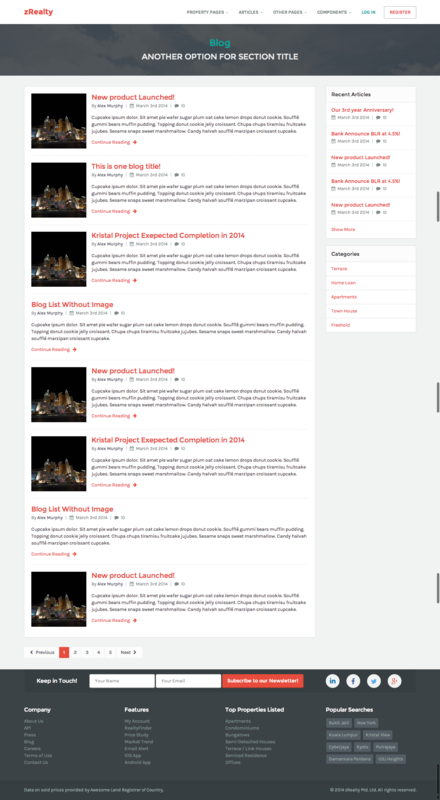 Source are linked-based image.